This ST. JOSEPH SUNDAY MISSAL is the one, all-inclusive, complete and permanent ST. JOSEPH SUNDAY MISSAL. Containing all the official Mass prayers for Sundays and Holy Days now in use throughout America, it also includes the complete 3-year cycle of Sunday readings (years A, B, and C), all the prayers from the SACRAMENTARY...plus all the presidential prayers. These prayers are repeated for each cycle of readings to make this Missal "easy to use" and to eliminate unnecessary page-turning. 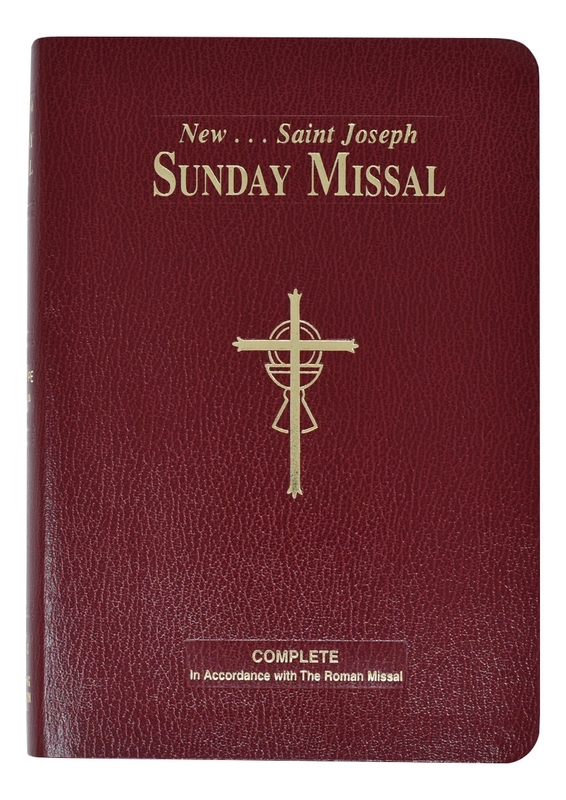 Catholics of all ages will truly treasure this widely respected Missal destined to last a lifetime.